As we all know social media plays a very important role for every business and especially for bloggers. If you are a newbie as a blogger then you should know that you need to include social media sharing buttons on your blog. So your readers can easily share your post on their social media profile and in return, you will get traffic from the social media sites, which also improve your SEO ranking. It is very essential for every blogger to include social sharing buttons on their blog since it was started, it’s not at all easy to achieve great amount of traffic towards your blog without social media integration. You should to add Facebook, Twitter, Google+, Pinterest, Stumbleupon and Tumblr social sharing buttons on your blog and these are the most popular social media networking sites. Below all the plugins are selected by me, which I have focused on how many numbers of users using this plugin and also the ratings are given by users. So take a look at WordPress social media plugin and pick it up, which one you like and include in your blog. Social Warfare is a lightning fast and highly customizable social share plugin with loads of features that make it the most effective sharing plugin on the market. Not only will it never slow down your website like other sharing plugins, they give you the most attractive buttons available that look great no matter what screen size or resolution. If you want more features like Social Proof, Twitter Cards, Analytics Integration, Content Protection, Share Count Recovery etc then you need to go for its premium version. 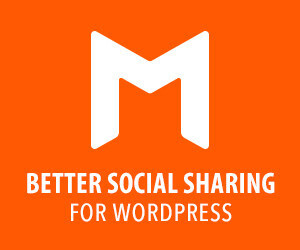 Kiwi Social Share is by far the best & easiest to use WordPress social media share plugin. 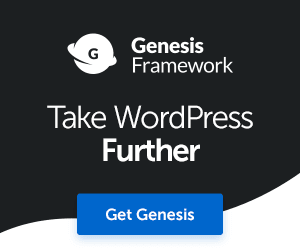 A WordPress share plugin with custom icons built-in. Cresta plugins support only five social network, which is Facebook, Twitter, Google+, LinkdIn and Pinterest. It has social counter feature and also gives you the option to choose up to 9 button styles. You can able to show the social buttons as a floating and also you can show the social buttons before/after the content of the post or page. You can easily display social buttons, anywhere you want to display on your blog by using of shortcode. Jetpack is a well-known plugin for WordPress and it comes with lots of powerful features, but here we will see only its social sharing feature, and for that you need to activate it first, then you can add as well as rearranging the social sharing buttons. You can get more info about Jetpack plugin here. Shareaholic is also one of the popular plugin, we also know this plugin as Sharing is Caring. The best thing about this plugin is that it’s not only for social sharing, but also gives other features like to show the recommendations & related content to increase the time and engagement of visitors on your site. Mashshare Share Buttons show the total share counts on Facebook and Twitter at a glance It puts some beautiful and clean designed Share Buttons on top and end of your posts to get the best most possible social share feedback from your user. It’s inspired by the Share buttons Mashable is using on his website. Ultimate Sharing Social media plugin which let’s you add icons for RSS, Email, Facebook, Twitter, LinkedIn, Google+, Pinterest, Instagram, Youtube, ‘Share’ (covering 200+ other social media platforms) and upload custom icons of your choice. How can I get social media sharing icons like the ones on this page on the left hand side? What is the best social media (follow) plugin for WordPress (responsive theme)? I use a free plugin called “Custom Share Buttons with Floating Sidebar”. It looks really good and is very simple to set up. Search for it on wordpress. This article is very complete! I needed a plugin free for Sharing my post but the others plugin of Social Media aren’t every social network. Everyone plugin aren’t very complete (Reddit yes, Delicous no, Stumbleupon no, etc) and I don’t want spend for social plugin now. Thanks! Jet pack is best. I installed it on my website. Isn’t possible to have something like that, but not for sharing. I mean I need a bar like this but to link to social media netowrks. Jetpack’s is definitely the best for us when it comes to design and just does the job really. But having a floating social share quite makes a difference. You have done such a great research and compile all the best free social media WordPress plugins in this list. From this list which I like is Social Warfare plugin and It looks really good and is very simple. I am also using the same plugin it is very easy to use if you are a newbie. Thank you so much for compiling and sharing this plugin with us.